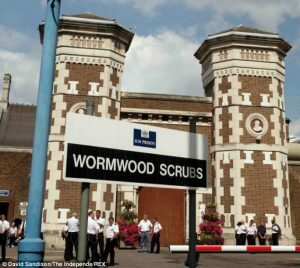 STOP HS2 | Wormwood Scrubs to a Field Outside Crewe: The Potential of HS2. Wormwood Scrubs to a Field Outside Crewe: The Potential of HS2. As part of the review of HS2 being undertaken by Sir Jeremy Heywood, it has been revealed that effectively all bets are off, and almost any appendage of the proposed ‘network’ could potentially get the chop. Last week it was revealed by the Sunday Times that platforms at Old Oak Common, the Handsacre Link and the station at Manchester Airport could be on the way out to save costs. The cost cutting exercise might also end the debate about whether Sheffield City Centre or Meadowhall Shopping Centre should get a station, coming to the truly egalitarian solution of ‘neither’. When Sir David Higgins was first appointed as HS2 Chair, the links to HS1 and Heathrow were quietly scrapped, not in an effort to keep costs down, but to stop them from going up, as like the Crewe station these offshoots to HS2, whilst planned, had never been incorporated into the overall cost. Now, according to the Sunday Telegragh, it seems that HS2 could become just the torso the white elephant it once was, but of course still with a mammoth cost, as there is the possibility that the Euston terminus could be scrapped along with the final western link from Manchester to Crewe. So the reality now is that what is seriously being considered a the final limit of the ‘high speed rail network’ on the western side of the county would be to provide a dedicated 250mph railway line from Wormwood Scrubs to just short of Crewe, via a station on the opposite side of the M42 from Birmingham Airport, with a spur off the a station in Birmingham, which is not New Street. On the eastern side, the options would be far more plentiful. Setting off from Wormwood Scrubs, rebranded as Old Oak Common, or for the truly deluded ‘Park Royal International’, for almost almost limitless destinations, with the chance to disembark at some railway sidings on the edge of Nottingham, or you could stay on the train and after bypassing Sheffield, to get off at the planned Leeds station, which five months ago was ten feet under water. A snip at a mere £55.7bn! Really? I mean really, seriously? Let’s just recap those potential journeys we are now looking at spending over fifty billion to make quicker; Wormwood Scrubs to not Birmingham International, with a dead-end branch to not Birmingham New Street, and then on to either a field outside Crewe, or assuming you can traverse the flood plains and mining subsidence, railway sidings near Long Eaton, and a station in Leeds on the wrong side of the river, but close enough to the river to occasionally suffer from rather severe rising damp. As we hope Sir Jeremy Heywood will have seen over the weekend, when it gets this stage and you take a step back to see exactly what it is that is now being proposed, and compare it to what was promised just a couple of years ago, you have really got to ask: Is this worth it, or are we now at a point where we are just doing this for the sake of doing this? The answer of course is that of course HS2 is only being done for the sake of HS2 being done. That’s been the problem right from the start, and that is why getting to where we are now has always been inevitable.